I'm sorry, I generally skip negative reviews as the internet is flooded with them, but the title of this book is inaccurate. A more precise title would have been 'High-Level Introduction to Worm Farms'. 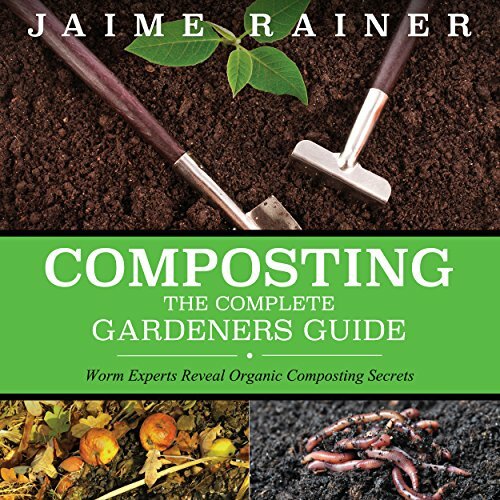 Certainly not "Composting: The COMPLETE Gardeners guide". To say that title is a stretch would be too generous. I feel some publisher got to the author and they changed the name to sell more books. I wanted a deep dive into Composting, getting into the Carbon/Nitrogen ratios and microbial lifeforms that help breakdown soil quickly and safely, but this book never went below a topical summary. Even the worm farming concepts were only briefly touched upon. The last 15 minutes of a 60 minute book were spent telling me not to invest too much of my savings in advertising if I wanted to start a Production worm farm...because it might not be too successful at first.... What?? I'm sorry, but this book was not the Complete guide to anything, let alone composting. I thought the narrator was a computer for the first 20 minutes. Her pronunciation was so choppy, I didn't think it was a real person. This made everything completely distracting and hard to follow. It felt very unnatural.